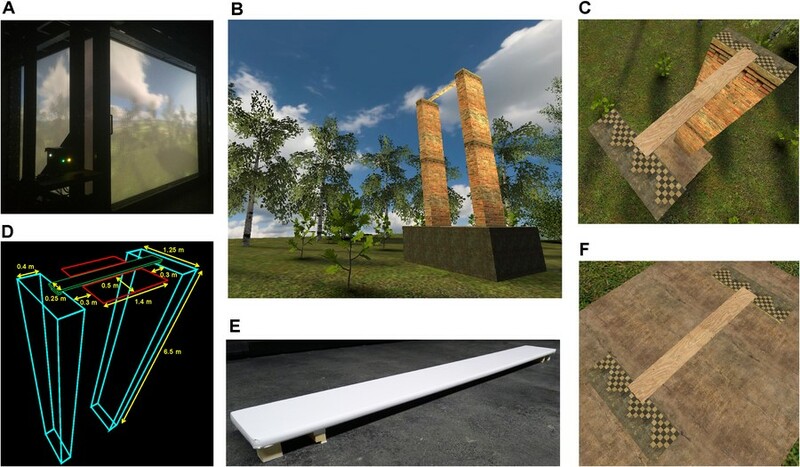 Whether we feel scared or pleased in an environment and how we explore it is down to our combined perception of space and of our bodies, according to new research conducted in a virtual reality environment. The study, published in the journal Heliyon, suggests that the brain uses the interplay of these factors to control our emotional experience and exploration of an environment. “Our hypothesis was that the emotional experience and the exploration of the environment are not simply triggered by environmental stimuli, but that the brain is regulating emotional experience and exploratory behavior based on the perception of one’s body and the spatial context in relation to each other,” explained lead author Dr. Martin Dobricki from the University of Würzburg in Germany. Dr. Dobricki and his colleagues tested their theory by seeing if the sensory input on the way people walk – their gait – and the sensory input on the spatial context they are within interdependently control their emotional experience and exploration of an environment. To do this, they put volunteers in a life-sized virtual forest glade and had them walk on a wood plank on the ground or elevated in the air, which made their gait bouncy. As one might expect, a bouncy gait intensified people’s experience of the environment as negative and frightening when they were walking high off the ground. But surprisingly, at ground level a bouncy gait gave people more positive emotions about the environment. This meant high up, a bouncy gait made people explore the environment more below the horizon, whereas on the ground it increased their exploration above the horizon. The researchers speculate that adding a bouncy floor to a space, one used in a setup for treating fear of heights with exposure therapy, for example, could intensify people’s fear and therefore maximize the therapeutic effect of being exposed to height. They also have the potential to lead to new ways of managing emotions, but more research is needed. “Our research shows that we are not stimulus-response machines; our emotions and our behavior are both based on the interdependent perception of ourselves and the world,” said Dr. Dobricki. Virtual Reality Setup: The experimental setup. (A) Outside view of the Cave Automatic Virtual Environment (CAVE) device during experimentation. (B) Third-person perspective on the forest glade and the two bridge piers with the plank. (C) First-person perspective in the height context. (D) Wireframe with specifications of the area (red) for which the time was determined that the head was bent beside the plank. (E) The vertically deflecting physical plank onto which the virtual plank was projected. (F) First-person perspective in the ground context. The article is "Sensorimotor body-environment interaction serves to regulate emotional experience and exploratory behavior," by Dobricki et al. (doi:10.1016xxxx (link)). It appears in Heliyon, (October 2016), published by Elsevier. Copies of this paper are available to credentialed journalists upon request; please contact either Mary Beth O’Leary at m.oleary@elsevier.com Elsevier's Newsroom at newsroom@elsevier.com or +31 20 485 2492. In online coverage of this paper, please mention the journal Heliyon and link to the paper at http://www.heliyon.com/article/e00173/. Heliyon is an online only, fully open access journal from Elsevier publishing quality original research across all disciplines. All Heliyon papers are freely available on both Heliyon.com and ScienceDirect. Heliyon is also indexed on Scopus and PubMed Central, ensuring it reaches the widest possible relevant audience.